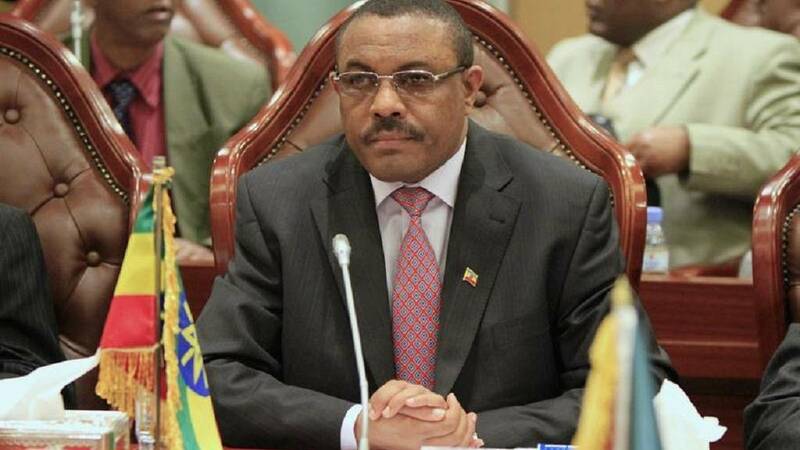 Hailemariam Desalegn served as Ethiopia’s Prime Minister in one of the worst period in its recent political history. He led the country from 2012 till he resigned in early 2018. His reign was littered with anti-government protests that were heavily cracked down upon killing hundreds, a number of state of emergencies, mass arrest and detention of dissidents – politicians, activists, journalists etc. Opponents and activists routinely jabbed Desalegn, labeling him a placeholder for the real power holders in the Ethiopian Peoples Revolutionary Democratic Front, EPRDF. Incidentally he was not from what was at the time the most powerful bloc of the EPRDF, the Tigray Peoples Liberation Front, TPLF. So he resigned his post amidst protests, oversaw the declaration of a state of emergency and waited for a successor to be picked. At the time, he confirmed that he had quit to allow for political reforms to be undertaken. A year on, that Ethiopia is being reformed by his successor Abiy Ahmed is in no doubt. But what has Desalegn been up to largely after quitting as Prime Minister? That is the focus of this piece. 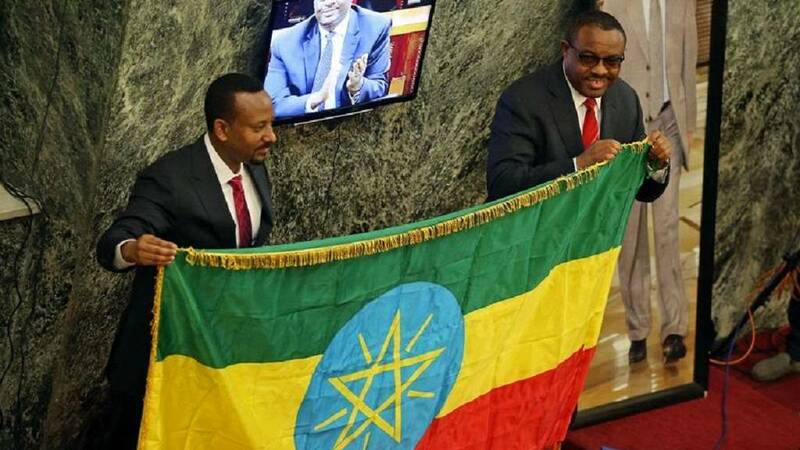 His last act as Prime Minister was on April 2 when he handed over the symbols of office to Abiy – a flag, the constitution, a bear hug amid cheers from lawmakers. 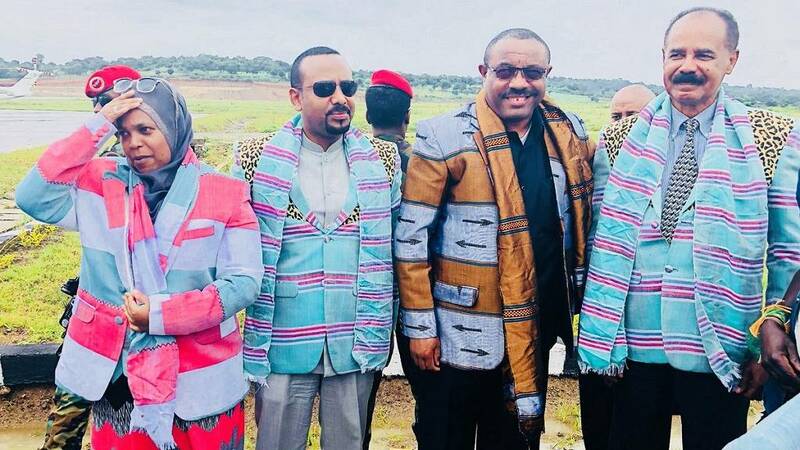 Months on, Abiy awarded his predecessor and his wife Roman Tesfaye for their service to the country. Desalegn received the highest honour of state at an event held at the presidential palace. As is the case for most former African leaders, one of Desalegn’s biggest engagements per Africanews’ tracking was election observation – he was in Zimbabwe and earlier this year in Nigeria. The former premier was in Zimbabwe as leader of the African Union, AU, elections observer team in late July 2018 when the southern African country held its first post-Mugabe poll. Back home, however, it was a Facebook post of Desalegn and a former Ethiopian leader that attracted harsh critique. 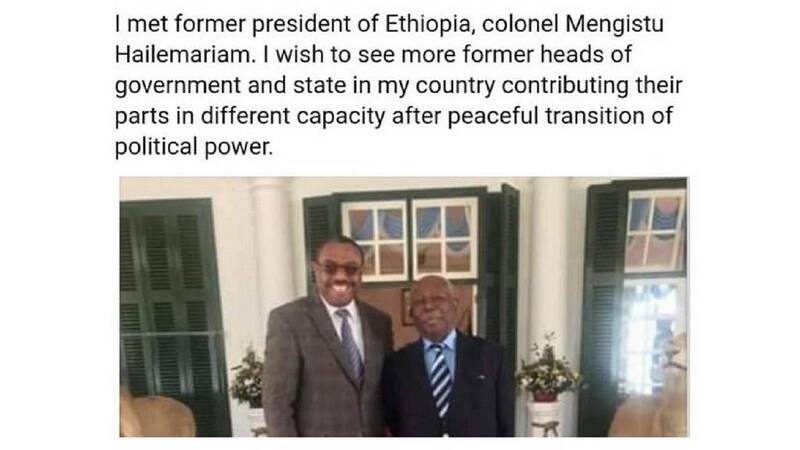 He met with exiled leader Mengistu Hailemariam. The post of two photos with the former leader with a call for unity – as widely criticized and deemed as insensitive. The post was deleted in the wake of the backlash. Several known Ethiopian activists slammed Desalegn not only for bringing back memories of the violent and deadly Derg regime convicted of ‘Red Terror,’ episode but for his own superintendence over deadly crackdown on Oromo protesters. He, however, went ahead to lead the election observer mission that engaged with stakeholders and subsequently presented its report on the conduct of the polls. In the wake of peace between Ethiopia and Eritrea, one of the key moments was resumption of flights between the two countries. Desalegn led a government delegation on the inaugural flights between Addis Ababa and Asmara. Whiles in Asmara, he met with top government officials for talks. In a later interview with the Eritrean Information Ministry, he stressed the need for the new relations to be further bolstered. In April 2018, days after handing over power, Desalegn was in Rwandan capital, Kigali, for the Mo Ibrahim governance week celebrations. He spoke about governance and the need for African leaders to see beyond their period in charge. He shared a panel with Mo Ibrahim, Rwandan president Paul Kagame and others. Back home, his party, the Southern Ethiopian Peoples Democratic Movement, SEPDM, announced reforms that led to him and other officials being retired. Desalegn was also sighted at a number of events, a case in point being the visit of Eritrean President Isaias Afwerki to Ethiopia in September. He was also present at the funeral ceremony held in the capital Addis Ababa for the country’s former president Girma Wolde-Giorgis. The former leader died in mid-December 2018. In February this year, Desalegn was again on the election observation trail – this time to Nigeria. Again he arrived in Africa’s most populous nation under the auspices of the African Union, AU. He led his team in meetings with main players in the presidential and legislative elections. His voice was especially prominent when the elections body announced a week postponement of the process on February 16. His team, however, stayed on and observed the February 23 process and subsequently presented their report. Desalegn is undoubtedly in the bracket of ex-leaders still serving the continent in some capacity. Not too bad a year for a former leader of government business.